The Apostle John (also known as Saint John) was one of Jesus Christ’s 12 disciples, and a prominent leader in the early Christian church. Along with James and Peter, John was one of Jesus’ closest confidants, so he appears in more biblical accounts than the other disciples. John is traditionally regarded as the author of five books of the Bible: the Gospel of John, the epistles 1 John, 2 John, and 3 John, and the Book of Revelation, although some Bible scholars dispute which of these (if any) he actually wrote. He is also believed to be the only disciple who died of old age (the others were allegedly martyred). Ancient sources may or may not refer to the Apostle John by several other names including John of Patmos (because he was banished to the island of Patmos), John the Evangelist, John the Elder, John the Presbyter, and the Beloved Disciple, though it is unclear if all (or any!) of these names do in fact refer to this John. It’s also worth noting: John the disciple of Jesus is not the same person as John the Baptist, who was Jesus’ cousin. So who was the Apostle John? What do we really know about him? 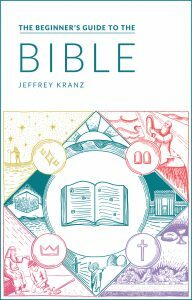 We’re going to explore what the Bible says about him, what we can draw from other ancient sources, and the things we still don’t know for sure. 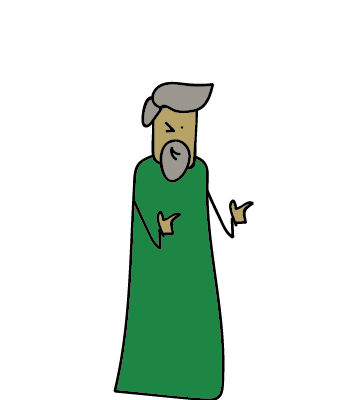 For starters, here are some quick facts about this well-known biblical figure. Most of what we know about John comes from the Bible itself, particularly the gospels. Interestingly, the Apostle John is mentioned by name in every gospel except the one named after him. According to the Synoptic Gospels (Matthew, Mark, and Luke) John was one of the first disciples Jesus called to follow him. Like many of Jesus’ disciples, he was a fisherman by trade. When Paul wrote his letter to the Galatians, a false teacher had told them that in order to follow Christ, they needed to follow the Mosaic Law. This is the opposite of what Paul had been teaching them. In order to prove that he was right to preach the gospel to the Gentiles, and to teach that they didn’t need to follow the Law to be saved, Paul appealed to the apostles. Particularly, the three apostles who had the most authority: Peter, James, and John. Paul makes a point of saying that even these three apostles had nothing to add to the gospel he preached—so why would the Galatians listen to someone else, and let some random teacher add the weight of the Law to the good news of Christ? Paul refers to Peter, James, and John as pillars of the church because they played an integral role in supporting, building up, and maintaining the Christian movement. The early church stood on their leadership. When there were disputes about how exactly Christians should behave and what following Jesus looked like, the church appealed to these three original disciples of Jesus, who had witnessed more of his personal ministry than anyone else. This is the only place the nickname “sons of thunder” appears, and there’s no explanation as to why Jesus gave them the name. James and John were brothers who may have had dangerous tempers, and it is often assumed that the nickname came from their “thunderous nature.” The most prominent example is recorded in Luke 9. A group of Samaritans didn’t welcome Jesus into their village, so James and John asked, “Lord, do you want us to call fire down from heaven to destroy them?” (Luke 9:54). Jesus did not, and he rebuked them. So is this nickname tongue-in-cheek for their explosive personalities? Is it an affirmation of their fervor? We will likely never know. John was one of Jesus’ three closest disciples. There are three times in the synoptic gospels where Peter, James, and John get to witness Jesus do things no one else saw. Jesus raises Jairus’ daughter from the dead, and he doesn’t allow anyone else to watch besides these three (Mark 5:37). Jesus takes Peter, James, and John up to a mountaintop, where he is transfigured before them. Jesus speaks to Moses and Elijah, and John is one of the only three people to witness his glory (Matthew 17:1–11, Mark 9:2–8, Luke 9:28–36). On the night of his betrayal, in the Garden of Gethsemane, Jesus takes Peter, James, and John with him to pray, and asks them to keep watch (Matthew 26:36–46). These three moments capture the special relationship John had with Jesus, and according to the gospel that bears his name, John may have had an even more privileged relationship with Jesus (or maybe he’s just bragging). The one whom Jesus loved? John (the disciple) is never mentioned in the Gospel of John. In ancient writings it was common for writers to omit themselves from an account or use third person descriptions to disguise their identity. In the Gospel of John, the author uses “the one whom Jesus loved” five times to refer to a disciple who was particularly close to Jesus. It appears in John 13:23, John 19:26, John 20:2, John 21:7, and John 21:20. We know from context that this title isn’t referring to Peter (“the one whom Jesus loved” interacts with Peter), and scholars believe James died too early to have written this gospel (he’s executed in Acts 12:2). The author clearly positions “the one whom Jesus loved” as one of the most important disciples, perhaps having the closest relationship with Jesus. Interestingly, with one exception, whenever the beloved disciple is mentioned, it tends to be in contrast to Peter. And once Jesus is betrayed and arrested in the garden of Gethsemane, only two disciples follow Jesus to his trial from a distance: Peter and the beloved disciple. While the beloved disciple pulls some strings to bring Peter closer to Jesus, Peter denies any association with the Lord (John 18:15–17). But perhaps the most well-known example of “the one whom Jesus loved” comes in John 20 after Jesus died on the cross, when Mary Magdalene discovers the empty tomb. In case you missed the three references to it, the one whom Jesus loved was faster than Peter. Tradition has associated “the beloved disciple” with John since at least the second century, but not all scholars agree that this is referring to him. A disciple of John the Baptist? In any case, we know that John was one of the closest followers of John the Baptist’s cousin (Jesus). Did the disciple John write the Gospel of John? This is the only gospel that claims to be written by an eyewitness. And some ofthe earliest Christians claimed this eyewitness was the Apostle John. Could someone else have written the Book of John? There’s good reason to believe that the Apostle John at least wrote some of the gospel that bears his name, but scholars still dispute his authorship. Some have argued that the gospel is the work of a later Christian writer who wanted to appear to be the Apostle John. Others suggest it’s Lazarus, who appears just before the first instance of “the one whom Jesus loved.” Lazarus is the only person who the gospel explicitly states that Jesus loved. In fact, when Lazarus’ sisters tell Jesus that he has fallen ill, they don’t say, “Lazarus is sick”; they say, “Lord, the one you love is sick” (John 11:3). It would be surprising if Lazarus was the author though, because we don’t see him until John 11, and we don’t hear about him after John 12. Plus, the other gospels don’t record him at some of the events the beloved disciple witnessed. It could also be a man named John Mark, who traveled with Peter, and is believed to have written the Gospel of Mark . . . but John Mark wasn’t one of the Twelve, as the one whom Jesus loved seems to be (John 13:23, see also Matthew 26:20). Other positions argue John wasn’t capable of writing this, or that geographical errors indicate it couldn’t have been written by an eyewitness, or that since some of the earliest Christian writers didn’t refer to the Gospel of John, it wasn’t accepted within the church. Did John, the son of Zebedee write the Gospel of John? We might never know. But as far as tradition goes, the church at large has been (mostly) comfortable with attributing this work to him. Did John write the Book of Revelation? The Book of Revelation is traditionally attributed to the Apostle John, but Christians have contested this since as early as the fourth century. The Apostle John is sometimes referred to as John of Patmos, though some argue that John of Patmos was actually a different person. The Book of Revelation is pretty emphatic that it was written by someone named John, and that he was on the island of Patmos when he received the revelation from Jesus Christ. In the early second century, Justin Martyr was the first to suggest this John was the Apostle John, and since then, many Christians have presumed that John the Apostle was exiled to Patmos for preaching the gospel. But even as early as the fourth century, some historians believed this was a different Christian writer named John, who was close to Jesus. Eusebius of Caesarea argued that this person was John the Presbyter, an enigmatic figure who first appears in the writings of the first-century church father, Papias of Hierapolis. Eusebius was the first to distinguish John the Presbyter from John the Apostle based on Papias’ writings. Wait … but who’s John the Presbyter? Eusebius interpreted this list as clear evidence that there were two Johns—John the Apostle and John the Presbyter—but church tradition has generally assumed that Papias simply made two references to the same person. “It is worthwhile observing here that the name John is twice enumerated by him. The first one he mentions in connection with Peter and James and Matthew and the rest of the apostles, clearly meaning the evangelist; but the other John he mentions after an interval, and places him among others outside of the number of the apostles, putting Aristion before him, and he distinctly calls him a presbyter. This shows that the statement of those is true, who say that there were two persons in Asia that bore the same name, and that there were two tombs in Ephesus, each of which, even to the present day, is called John’s. It is important to notice this. For it is probable that it was the second, if one is not willing to admit that it was the first that saw the Revelation, which is ascribed by name to John. It’s worth noting as well: Eusebius wasn’t sure Revelation belonged in the biblical canon at all. He wasn’t alone—Revelation was a tricky book for the early church. People either ardently loved it and considered it Scripture, or they thought it had no place in the Bible. So perhaps he had some motivation to distance it from the apostles. Later scholars have used this possible motivation to discredit Eusebius’ interpretation of Papias. Other scholars have maintained this distinction as well though, and they’ve dubbed this writer John the Revelator, John the Elder, John the Divine, and John the Theologian. All of these names are used to separate this John from John the Apostle. But it’s a bit messy, because these names are also sometimes used interchangeably with John the Apostle. Did Saint John write 1 John, 2 John, and 3 John? Ancient writers have disputed the authorship of the Johannine epistles as well. Saint Jerome, the fourth-century theologian who produced the Latin Vulgate, agreed with Eusebius’ conclusion about John the Presbyter, and he went on to argue that while John the Apostle wrote the Gospel of John and 1 John, a different John wrote 2 John and 3 John. But Irenaeus, who lived earlier than Jerome and Eusebius, references 1 and 2 John and claims he is quoting the Apostle John. So what do we make of this? Some of the earliest references to the letters attribute them to the Apostle John, and church tradition has held him as the author ever since. One can argue that he didn’t write them, but there are strong counter arguments as well. In the end, we can’t say for sure that he did or didn’t write them. Church tradition holds that John was the only apostle to die of old age. The rest were martyred for their faith. Before Jesus died on the cross, he entrusted his mother Mary to John’s care—assuming John actually is the beloved disciple (John 19:26–27). When Mary died, John went to Ephesus and wrote his three epistles. Then he was exiled to Patmos for preaching the gospel, where he received the revelation from Christ and wrote the Book of Revelation. Eventually he made it back to Ephesus and died an ordinary death sometime after 98 AD. Tertullian, a Christian writer from the late second and early third century, wrote that before the Romans banished John, they brought him into a coliseum and dunked him in a vat of boiling oil. When he emerged unharmed, the entire coliseum converted to Christianity. Throughout his later life, John also had some significant students. Polycarp (who eventually became bishop of Smyrna) learned from John and then taught Irenaeus. John taught Ignatius of Antioch as well, whom Peter eventually appointed as the bishop of Antioch. And Papias of Hierapolis learned directly from John as well. The Apostle John is a well-known gospel figure. Whether he was “the one whom Jesus loved” or not, he was one of Jesus’ closest followers, and he witnessed more of Jesus’ ministry than almost anyone else. That’s why the early Christian church leaned on his insight into the life and teachings of Christ, and why other leaders like Paul appealed to his authority (Galatians 2:8). Centuries after his death, as the church deconstructed heretical beliefs, John’s writings would help anchor Christians in their understanding of Jesus’ preeminence (John 1:1–4) and his relationship to the Father (John 3:16). Today, John’s gospel is one of the best tools for evangelism that Christians have—if not the best. Passages from his writings have become our definition of God (1 John 4:8), and others have become so ubiquitous that even many non-Christians know them by heart. We may never know with absolute certainty how much the Apostle John wrote himself. And we will never be able to measure the impact he’s had on Christianity and the world. I am teaching a class on John, please send me all the material on John you have. 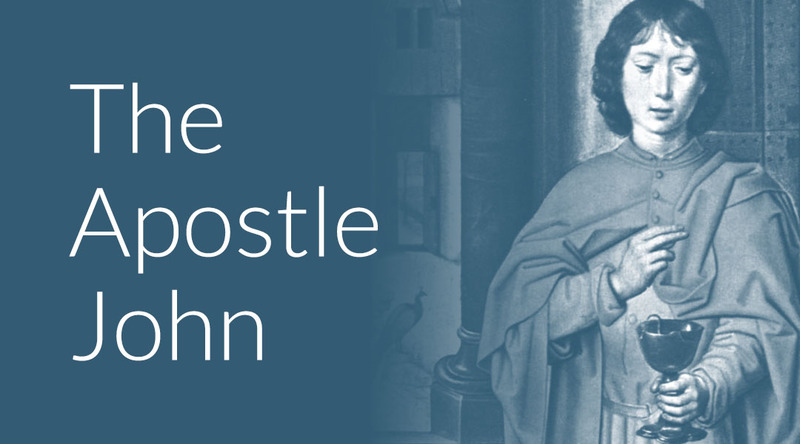 For now, this beginner’s guide is all we’ve written about the Apostle John. We do have another post exploring the Gospel of John though, and you’re welcome to download the infographic in this post. Good luck with your class!